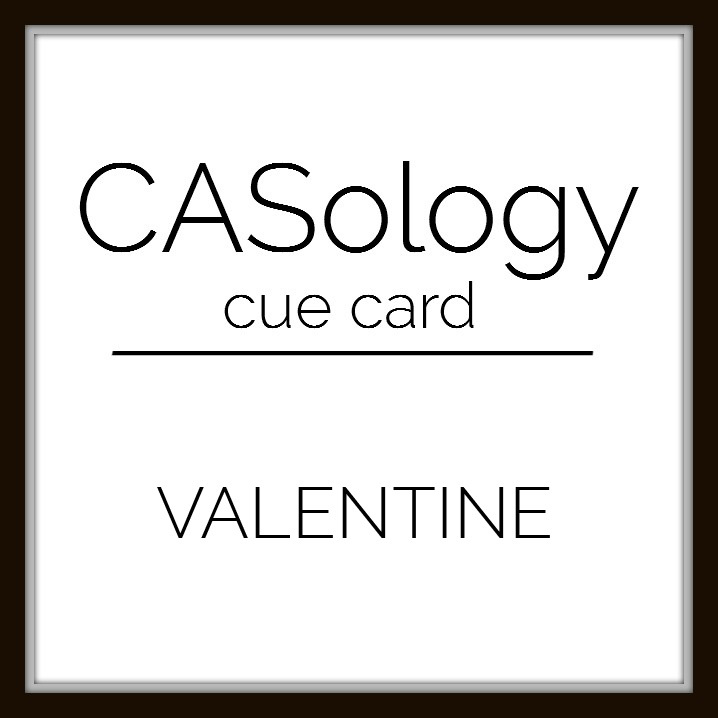 This week's CASology Cue Card is Valentine! 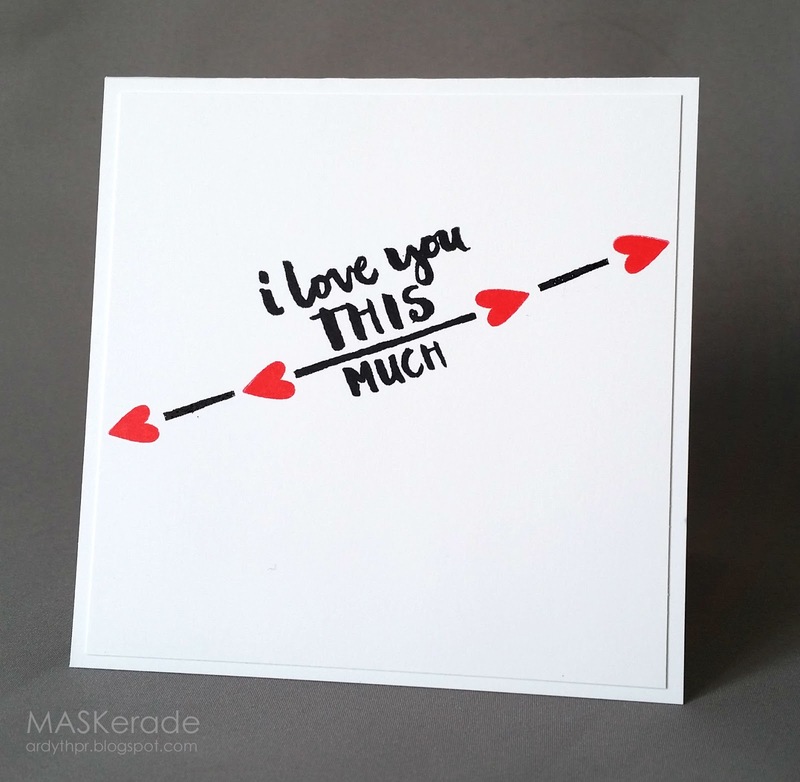 This sentiment is perfect for a valentine on its own, but by replacing the arrowhead with red hearts, it's even better. I used Essentials by Ellen Love You So and Fancy Thanks (for the solid heart). This dark, dark black ink is Stampin' Up's new Archival Basic Black and the red is Ranger's Classic Cherry dye ink. Now it's your turn! We can't wait to see all your Valentines this week! Be sure to get more inspiration by visiting the rest of the DT blogs! Love how you cased yourself. The hearts are fabulous. Excellent CASE of your own work! I like the little red hearts a lot. 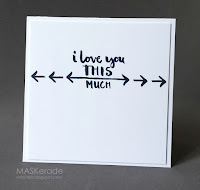 One of my favourite sentiments Ardyth--super fun design! This is lovely, Ardyth! Love those tiny red hearts! 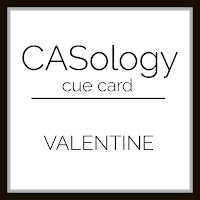 Wonderful CASE of yourself, and those red hearts simply make the card. Can't wipe the smile off my face with this one, Ardyth! SO clever to CASE yourself too. The red hearts are a sweet touch, as is the tilt! Ardyth, this a very sweet card! 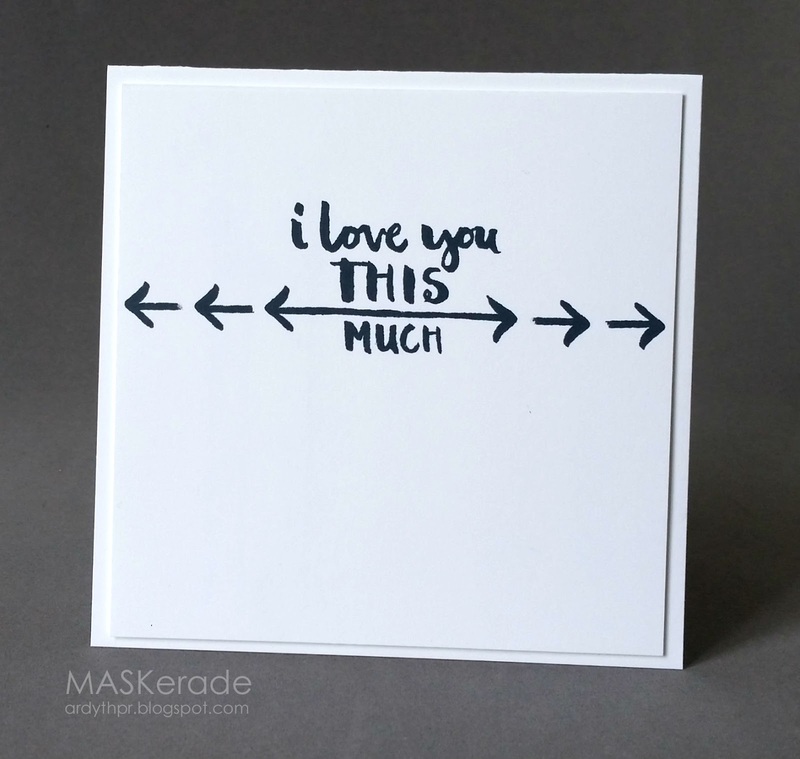 Love those arrows and hearts! OK, this one really stands out too. WONDERFUL design!! Love the feeling it conveys with such little space & stamps.